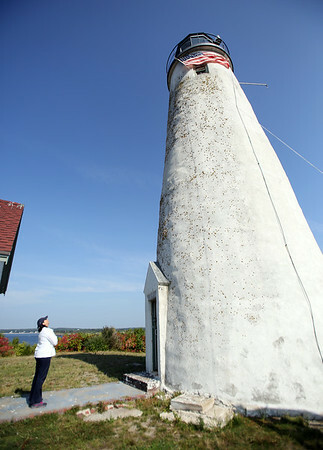 Salem Mayor Kim Driscoll peers up at the lighthouse on Bakers Island following a ceremony on Wednesday morning. DAVID LE/Staff photo. 8/27/14.